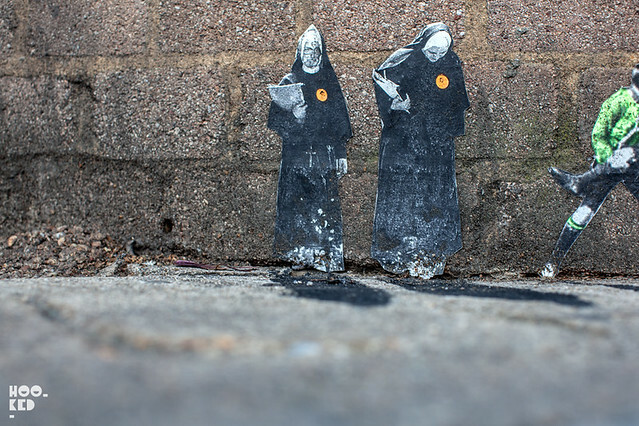 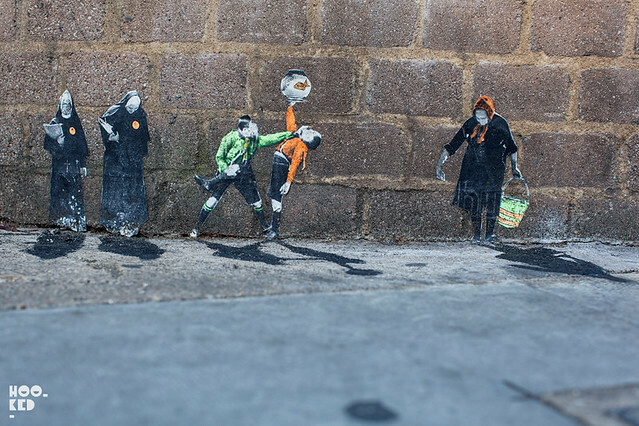 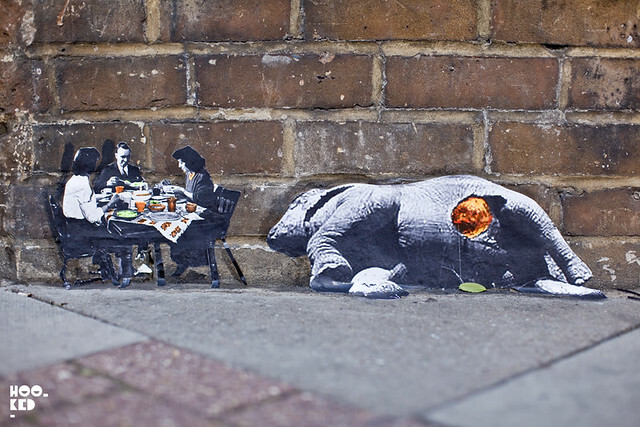 Earlier this week saw the return of London based Mexican street artist Pablo Delgado to the streets of East London with his signature miniature paste-ups. 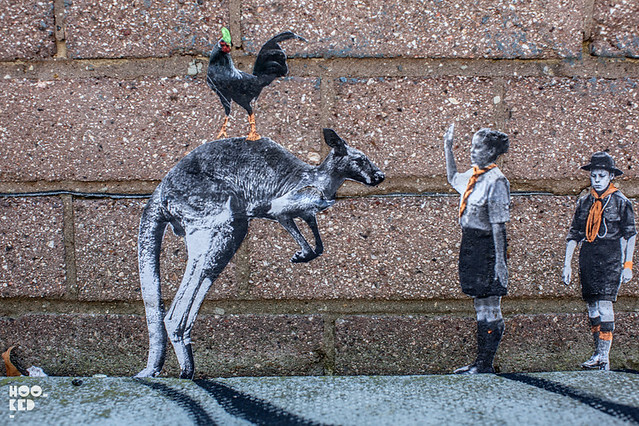 We have previously featured a number of these fun new works on Hookedblog in this blog post "Pablo Delgado back on the streets". 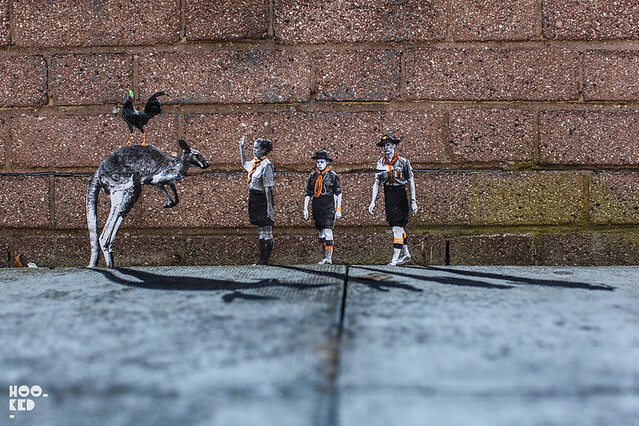 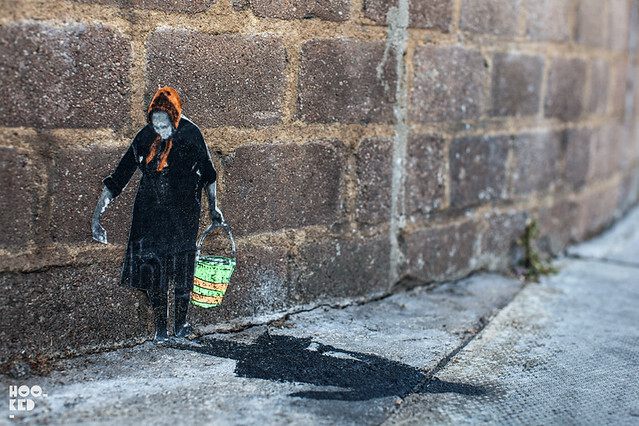 Following some detective, a little help from one of our regular readers and some additional street art hunting yesterday we located an additional three miniature street scenes from the artist, all complete with hand-painted shadows painted directly onto the pavement. 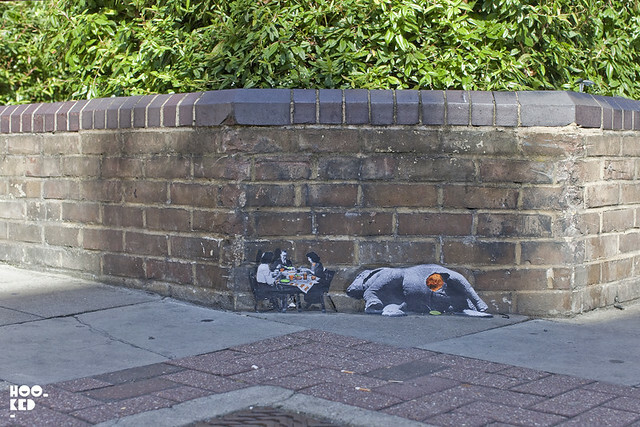 It's fantastic to see the street artist back on the streets and we have really enjoyed discovering this new body of work. 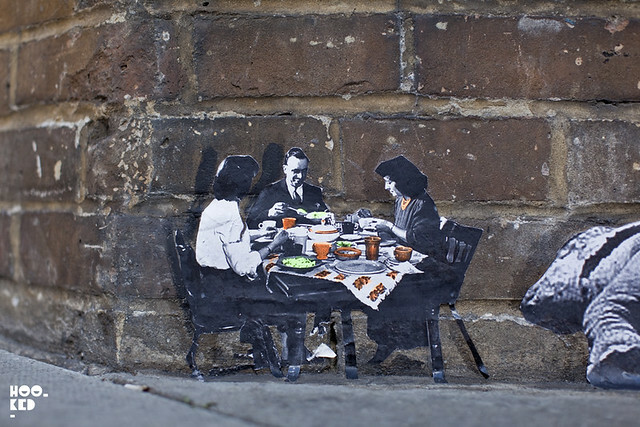 Should you find yourself in the Brick Lane neighbourhood of London keep your head down and eyes peeled!